The RAM full-size pickup is the perennial third-best-seller in the US, behind the FordF-150 and the Chevy Silverado. 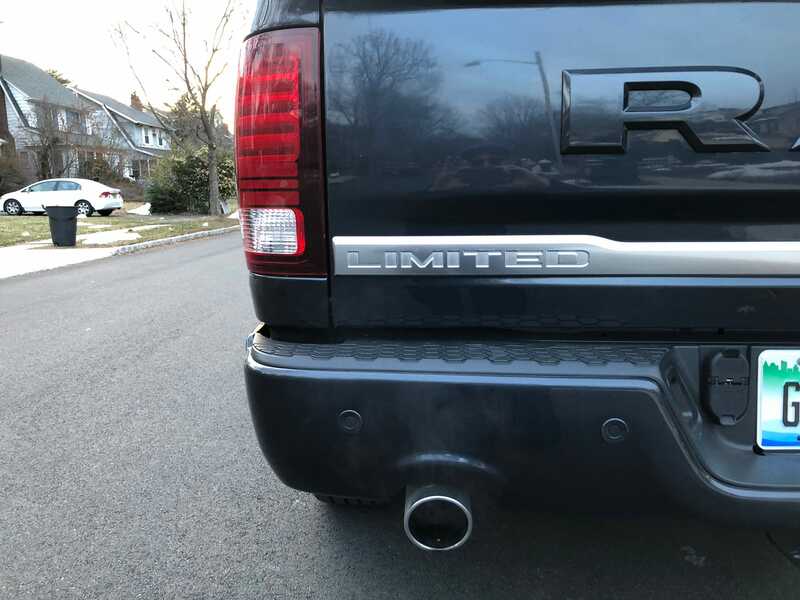 We spent a week with a well-appointed version of the truck. 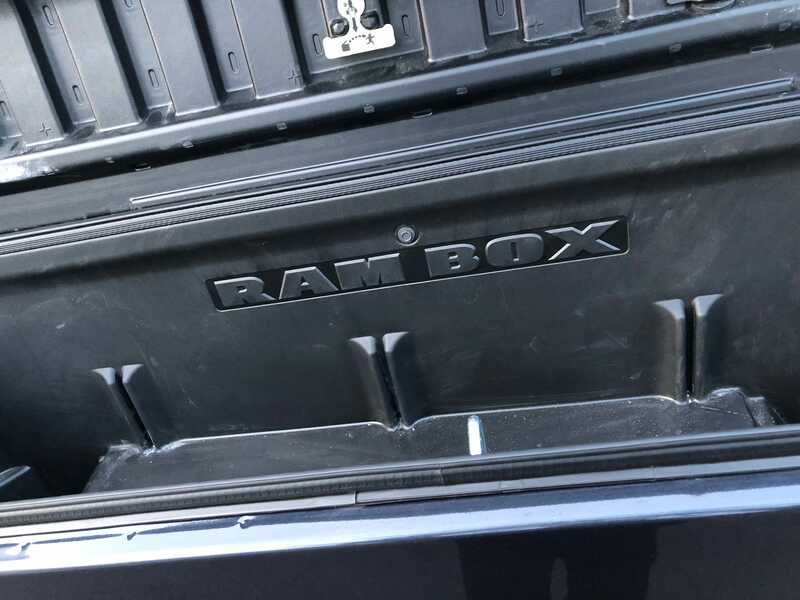 And we were mighty impressed with the RAM. We certainly live in a Golden Age for luxury pickup trucks, which are becoming America’s latest obsession. Detroit can’t sell enough of them. In the first two months of 2018, Ford has already moved 127,000 F-150s. And everything truly is better. 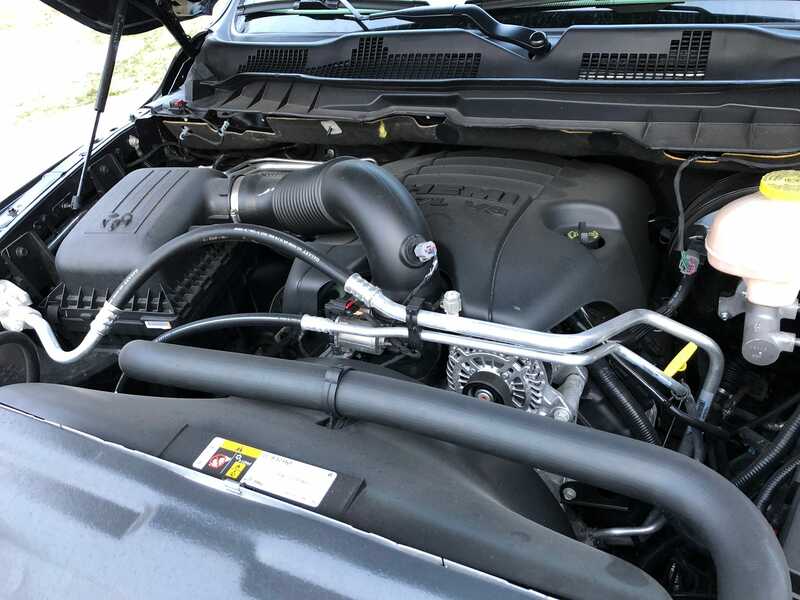 That gas-chugging V8 on a ’78 Chevy would give you just about 160 horsepower, while a modern V8-motored pickup will top 400hp with better fuel economy. It’s also hooked up to the internet, is far more reliable, and can be had with all manner of luxurious appointments. Ford has revamped its segment-leading F-Series pickups, and now both Chevy/GMC and Fiat Chrysler’s RAM have followed suit. For old time’s sake, however, we jumped at the chance to sample the outgoing RAM 1500 when the carmaker flipped us the keys to a well-optioned $US63,870 2018 Limited Crew Car 4×4 version of the third-best selling pickup in the USA (over half a million units in 2017). 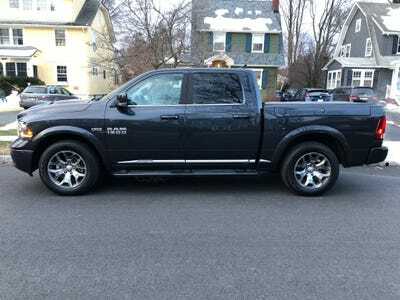 The RAM 1500 Limited Crew Cab 4X4 has a base price of $US53,595, which is a lot higher than the stripped-down $US27,000 no-frills trim level. Our “Maximum Steel Metallic” tester stickered at $US63,870. The RAM 1500 is a full-size pickup — the heart of the pickup market. These trucks have to be able to do it all, from hauling stuff to towing stuff to driving people around. 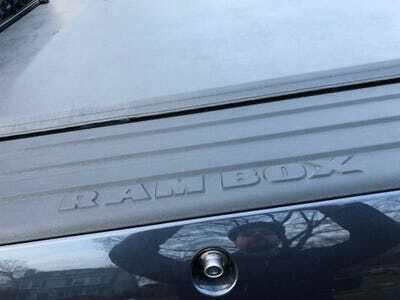 RAM pickups have a more aggressive, semi-truck-like appearance than the competition. It isn’t for everybody — but we thought it make our tester look pretty imposing. 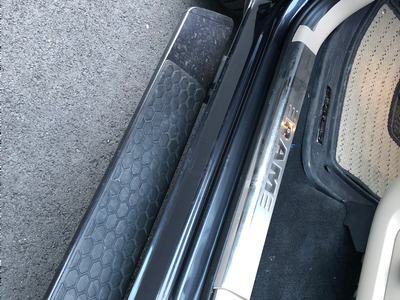 That’s a “Tungsten Chrome” grille, by the way. Which means it isn’t shiny chrome. And it looks pretty fantastic. 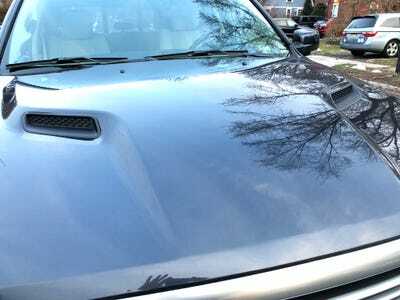 The plastic hood scoops are totally fake. 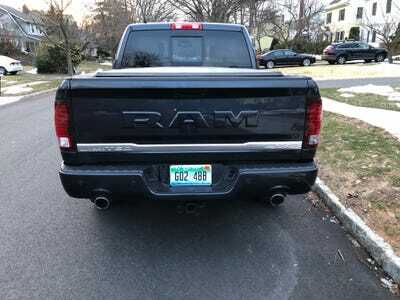 RAM up front, RAM in the back! 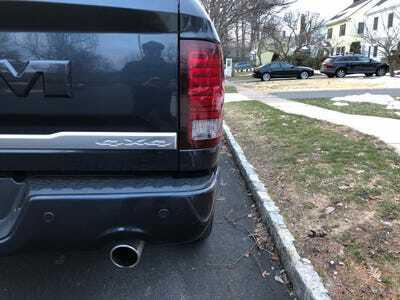 All the badging on this thing is large and blocky and holding nothing back. 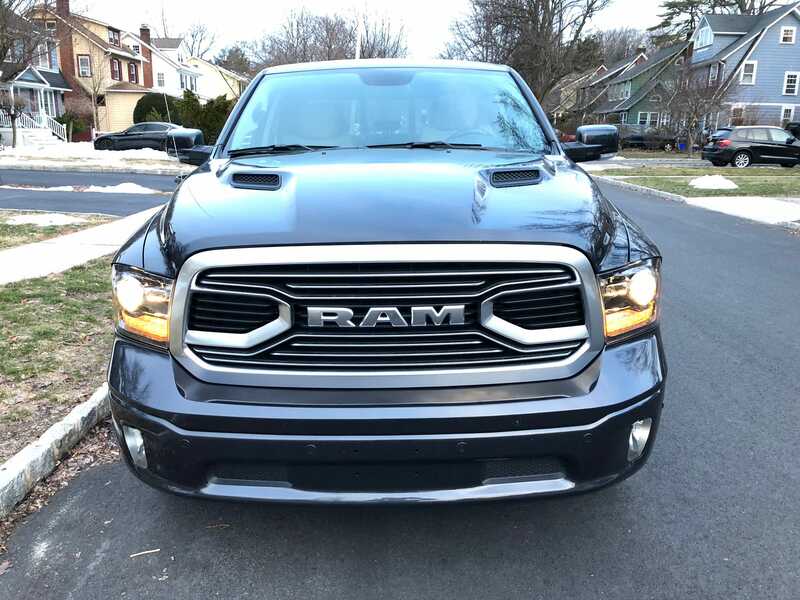 This is a pickup that offers no apologies. 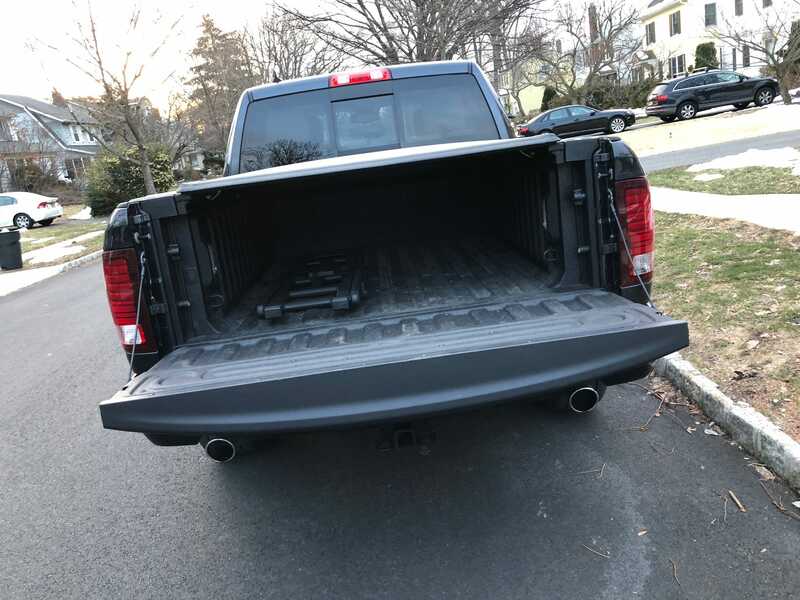 Pickups can be had in many configurations. 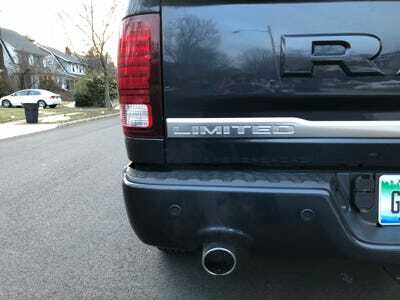 “Limited” is the highest and most premium. Our tester was equipped with proper four-wheel-drive and a towing capacity of over 10,000 lbs. 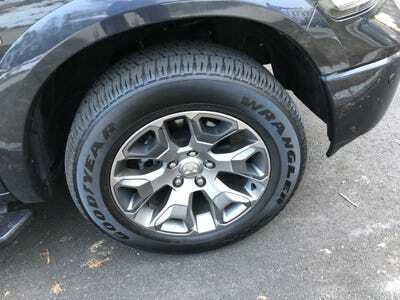 Our tester had a five-foot, seven-inch bed and a spray-on liner to stave off scratches and rust. 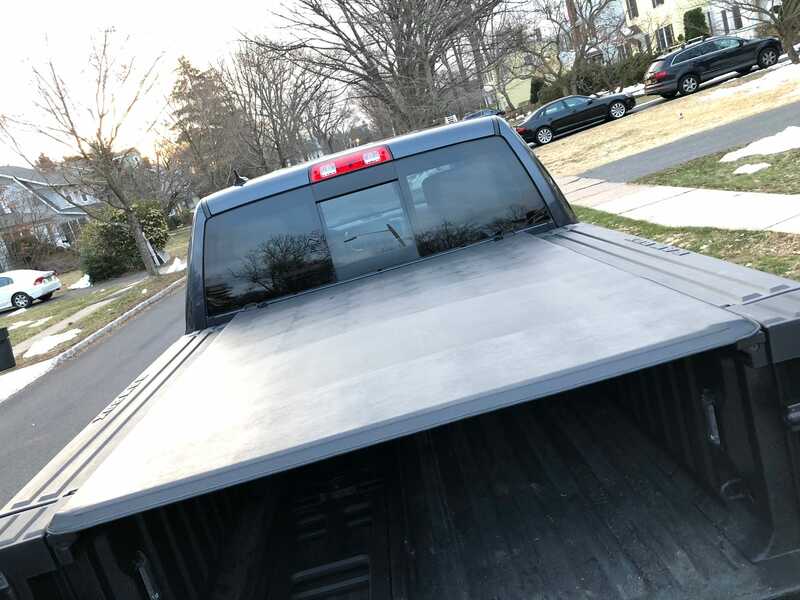 We also got a folding tonneau cover, which came in handy after a massive winter snowstorm dumped half a foot of snow on northern New Jersey. Nothing worse that a bed full of slow-melting snow! 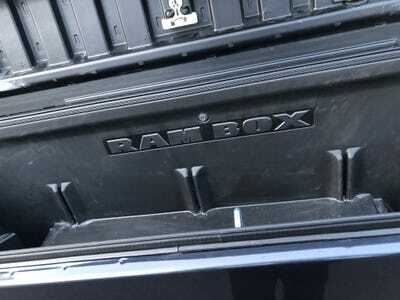 Our truck also boasted a RAM box cargo system. It enables an owner to stow tools and gear in the bed and not have them bang around. What’s this? Why, it’s a actual antennae! Some stout Goodyear Wrangler — and some snazzy 20-inch wheels. 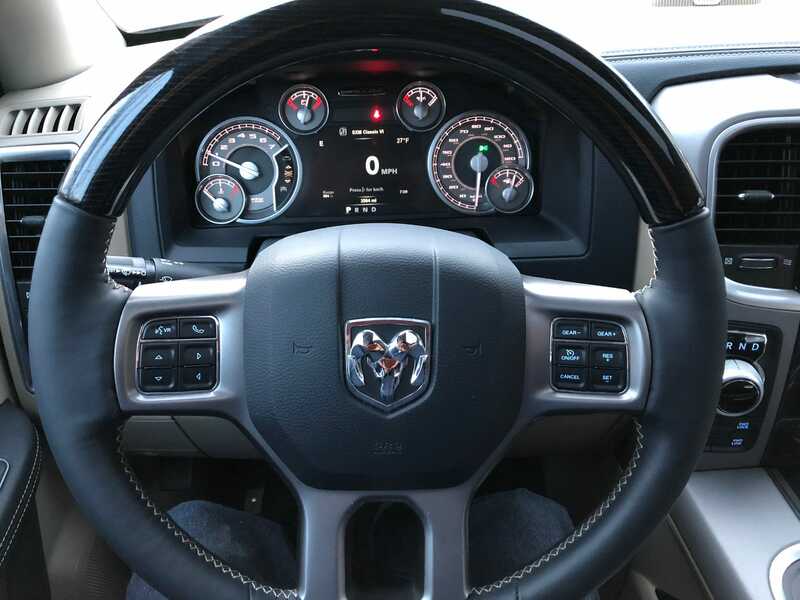 Under the hood in the mighty 5.7-litre Hemi V8, making 395 horsepower with 410 pound-feet of torque. For what it’s worth, the RAM 1500 has a 32-gallon gas tank. And with an EPA-rated 15 mpg city/21 highway/17 combined, that’s a good thing. The step comes in handy. But the 1500 also has an air-ride suspension that can be raised lowered, so climbing in and out is a breeze. The 1500 Limited’s “Frost/Indigo” interior is prim-O-O-O!!! Both myself and my colleague Ben Zhang thought it was the nicest interior of any pickup we’ve sampled over the past year and a half. It does add $US3,200 to the price tag, but it’s worth it. 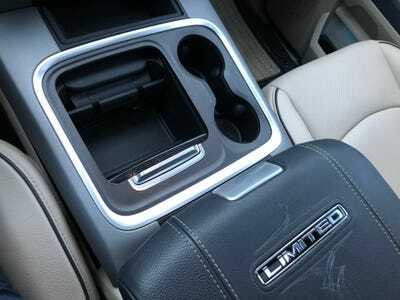 Cupholders and a nice little storage compartment. 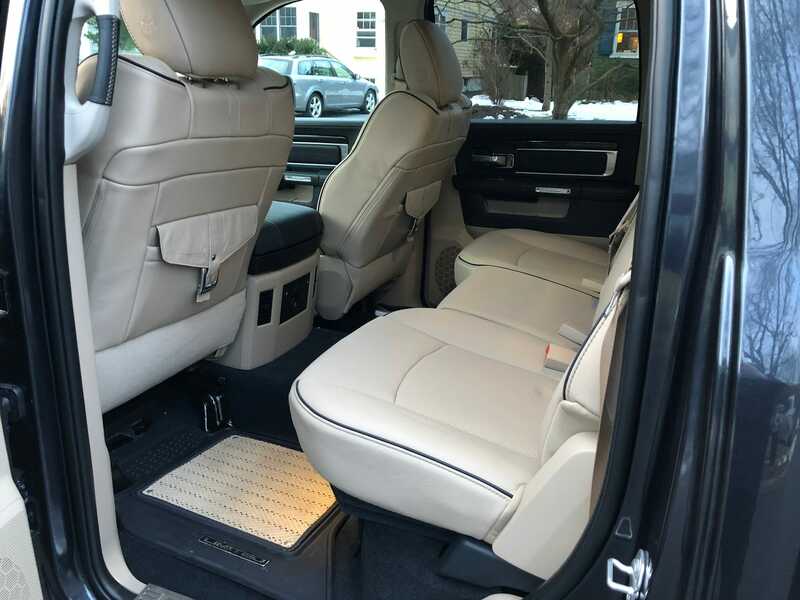 The rear seats are also as luxe as you can get with a bench design. 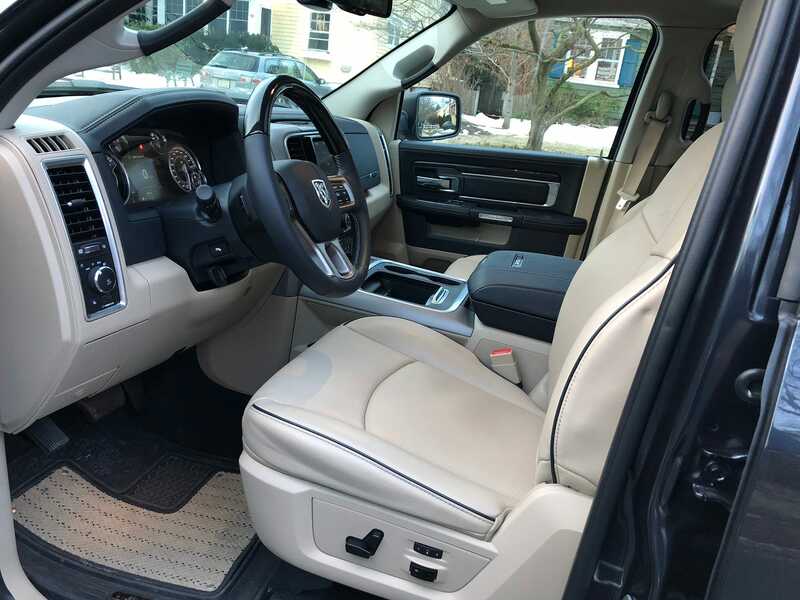 The Crew Cab is plenty roomy for passengers. The instrument panel is elegant, as pickups go, but not too terribly high-tech. 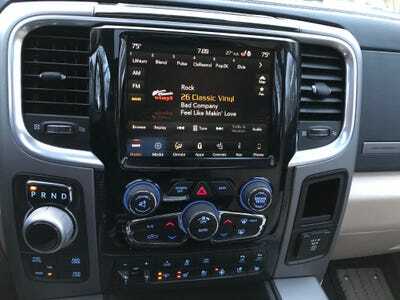 The 8.4-inch Uconnect infotainment system has been something of a sleeper in our reviews. 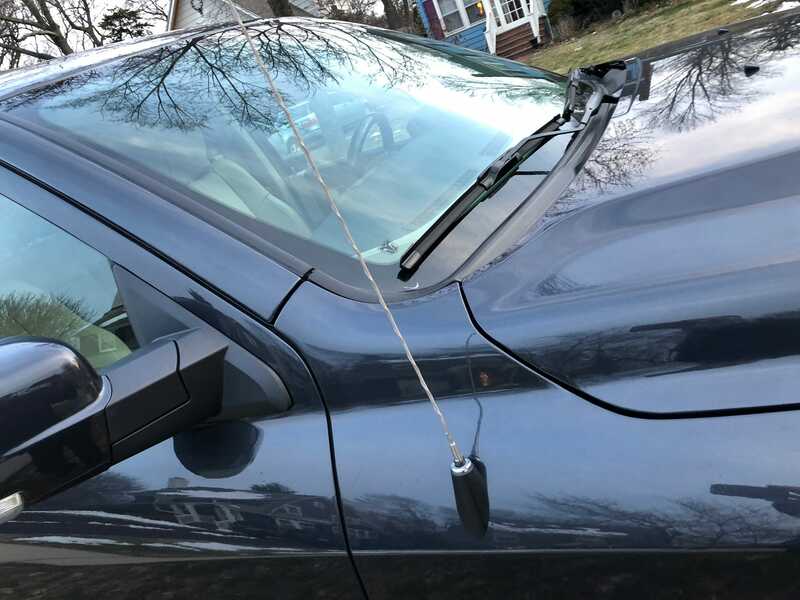 We haven’t been blown away by Uconnect, but we’ve found it to be relatively easy to use and reliable. 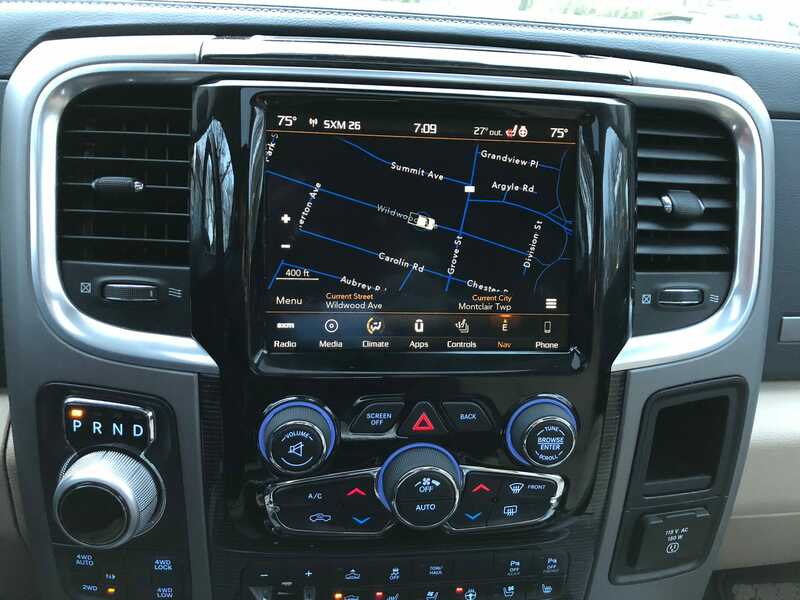 It does everything well, from navigation to Bluetooth device integration, and it as Apple CarPlay and Android Auto available. The buttons and knobs below the screen can get a bit fiddly. The Alpine audio system sounds quite good, but I wasn’t quite as impressed with it as I have been with some other offerings. 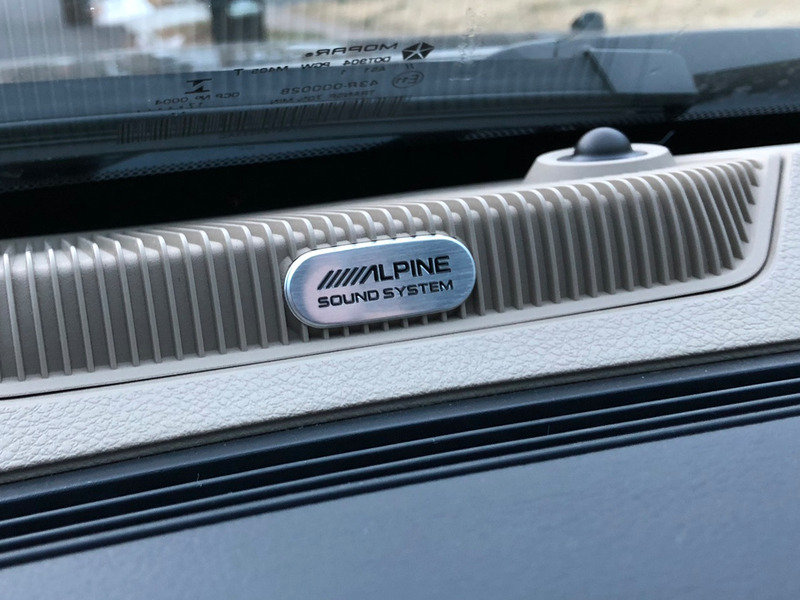 That said, I haven’t listened to Alpine in as many vehicles as other setups. 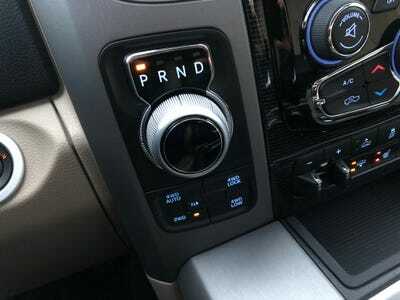 The eight-speed transmission handles the torque and power quote well. I initially thought that this rotary shifter would be annoying, but I got used to it in short order. 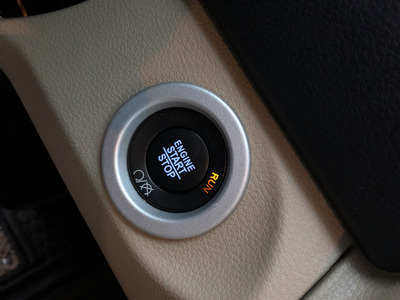 If you look closely, you’ll see the selector for the 4×4 system, with its four settings, from rear-wheel-drive only to auto 4×4 to the dedicated 4×4 high (useful for rough conditions when you can still drive with some speed) and 4×4 low, for only the toughest, low-speed routes. We can’t take test cars offroad, but after an early spring snowstorm, I was able to use the system to power through some pileups in my driveway. It brushed them off like nothing. So let’s fire up this sucker and do truck drivin’! OK, I look a little frowny. But I’m happy inside! I think it was just the awful Northeast weather weighing on my soul. 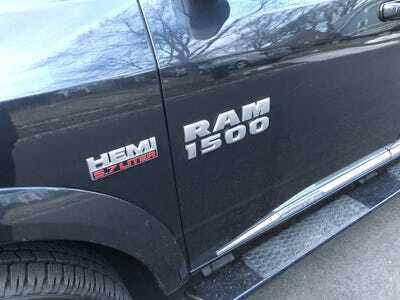 Don’t blame the RAM 1500! 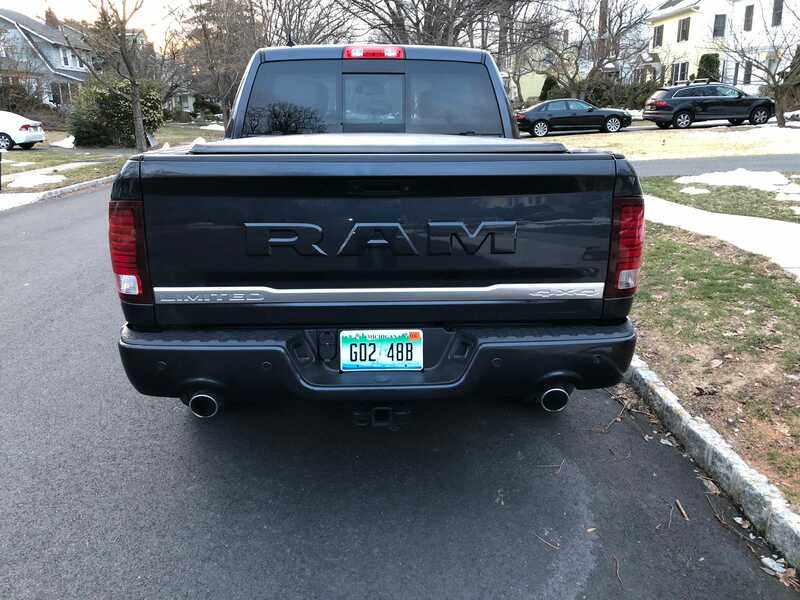 This pickup is an absolute joy to drive, mainly because unlike the Ford and Chevy trucks that sell ahead of it, the RAM has a far more compliant suspension. In the case of our 1500 Limited tester, a four-corner air suspension that makes the truck feel as if it’s floating on a sea of power. 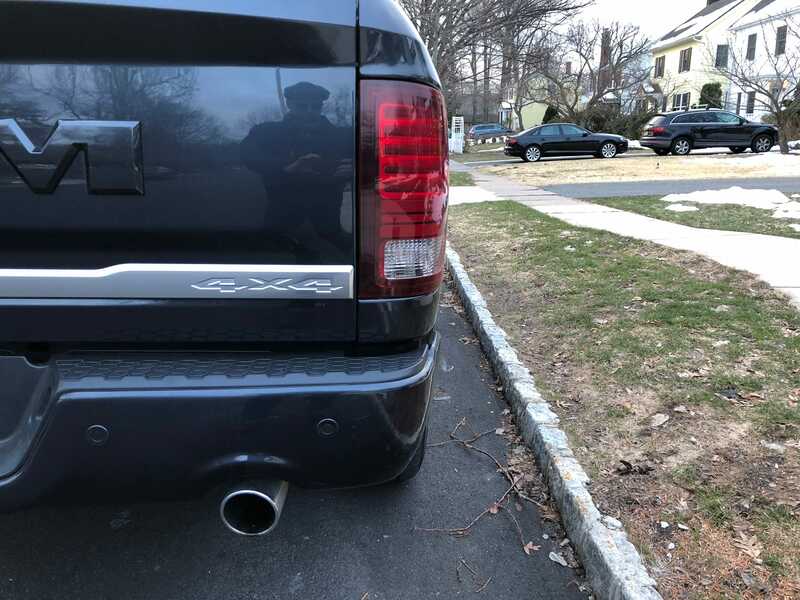 The Fords and Chevys still have tough leaf-spring suspension, and some truck owners prefer that. 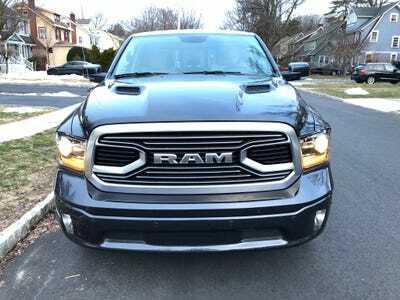 RAM went to something more easygoing a while ago, and for some folks, it will be preferable. I sure liked it. But it doesn’t make the truck feel overly domesticated. There is a big old iron-block Hemi V8 under the hood, and when you stand on the accelerator, that motor roars to life. Accelerating from 0-30 mph in the 1500 is as much fun as savouring the 0-60 mph run, which passes is about seven seconds. 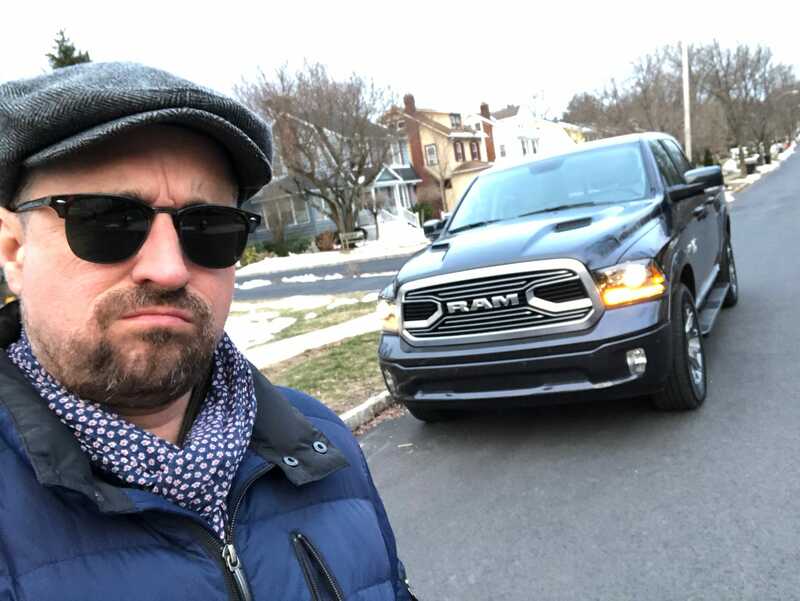 Brawn notwithstanding, it truly is the level of refinement that the RAM 1500 brings to the segment that helps it stand out, even as Ford and Chevy/GMC sell more trucks. 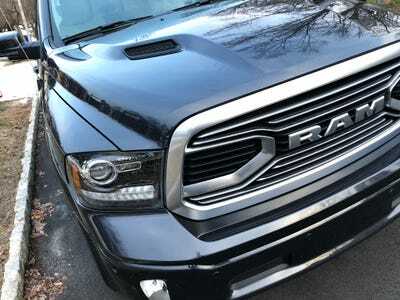 RAM has carved out far more than niche at number three and isn’t dropping the ball when it comes to what its loyalist expect. 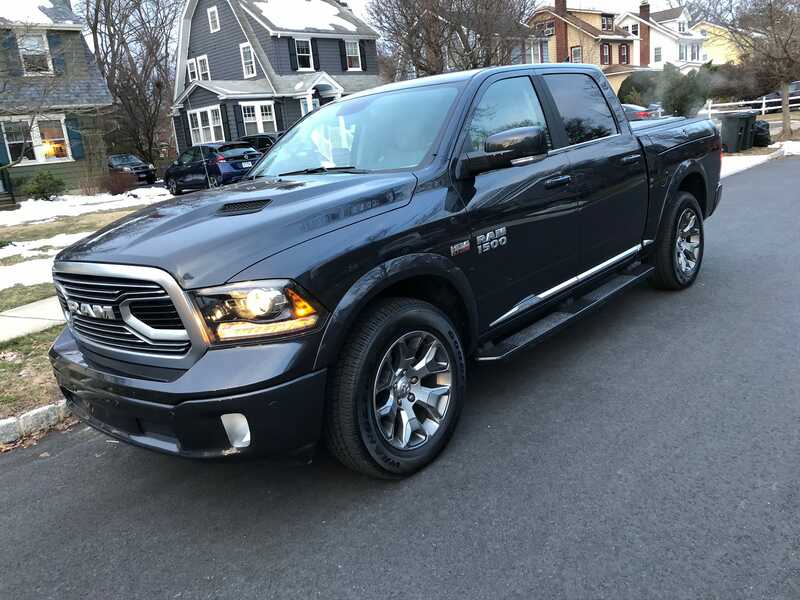 The RAM 1500 Limited Crew Cab 4×4 proves that a truck lover can have it all: power, styling, capability, and comfort. We’re very much looking forward to the all-new 2019 version.